In 1976, jazz pianist Bill Evans was in a class by himself. The New Jersey-born Evans had been recording as a leader for 20 years, and become a true force in modern music. When he went to perform in the Madison Union Theater at the University of Wisconsin on Monday, November 15, 1976 with bassist Eddie Gomez and drummer Eliot Zigmund, no one would have predicted that 40 years later the evening’s music would become one of the shining moments of all that Bill Evans accomplished. On A Monday Evening will be released by Fantasy Records, a division of Concord Bicycle Music on March 24 in vinyl, compact disc and digital formats. It features eight songs performed that night in Madison, and exists thanks to two college-age deejays that recorded and archived the concert. Larry Goldberg and James Farber had interviewed Bill Evans for the college radio station. Goldberg was able to use the station’s recording equipment to preserve the evening for posterity. Remastered from the original analog tapes and using the advanced technique of Plangent Processes for transfer and restoration, the recordings now present a stellar evening of jazz now available for the first time. The Bill Evans Trio is captured in full force at a pivotal moment in the pianist’s career. Music critic Richard S. Ginell once wrote, “With the passage of time, Bill Evans has become an entire school unto himself for pianists and a singular mood unto himself for listeners. 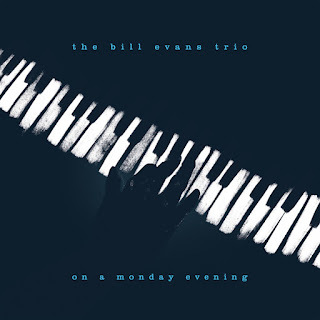 There is no more influential jazz-oriented pianist.” And in Evans’ long and prolific recording career, the addition of On A Monday Evening is now a moving and important contribution to that legacy.